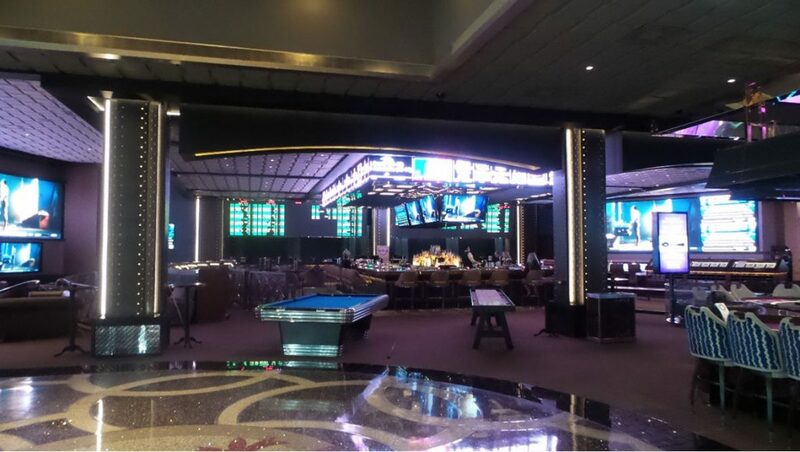 Project Description: Complete interior demolition of existing space on casino floor. Convert to the Race & Sports book on the casino floor. 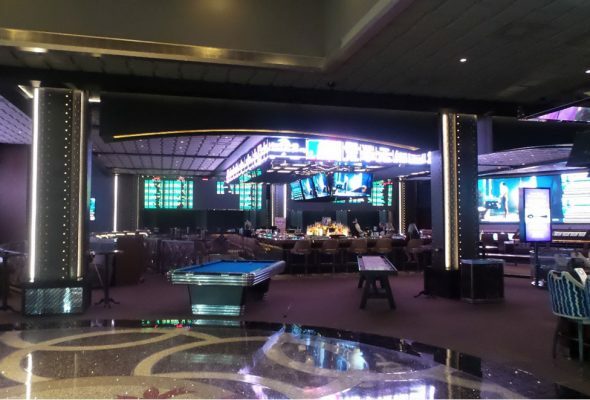 Construction included high end finishes throughout, a bar in the middle with a fully custom copper top, multiple TV structures, and new gaming pit with matching finishes including copper accent bands. Project was on an accelerated schedule which was completed on time.